The Composite Prototyping Center (CPC, Plainview, NY, www.compositepro.org), an organization dedicated to providing workforce development, prototype manufacturing and hands-on technical training in advanced composites manufacturing, announced today that Abaris Training Resources (Abaris, Reno, NV, www.abaris.com), the world leader in advanced composite training, will be relocating its Griffin, Georgia operation to CPC’s 25,000 square foot facility on Long Island. The decision by Abaris to base its East Coast operations at CPC was prompted by its goal to expand beyond its current curriculum to incorporate the application of the sophisticated equipment that CPC houses. Also factoring in Abaris’ decision was CPC’s status as the designated Northeast center for the Institute for Advanced Composites Manufacturing Innovation (IACMI) in which both organizations are members. Abaris President Michael J. Hoke noted that a mutual contact had suggested Abaris look at CPC. That prompted Hoke along with Abaris’ Chief Technical Instructor Dave Castellar to visit CPC in January. After meeting with Poveromo and his team and viewing the scope of the CPC facility and its equipment, Hoke made the decision to locate the company’s East Coast operations at CPC. To prepare for Abaris, Poveromo stated that CPC will be setting up ten workstations for Abaris’ repair training classes. Hoke noted that the aerospace industry is one of Abaris’ major markets. The company provides training both offsite and onsite for airlines such as Jet Blue for which it has provided training at LaGuardia Airport. Additionally, Abaris provides its advanced composite training to the DoD/ armed forces and various government agencies including the FAA, NTSB and NASA. Its market reach also extends to the commercial space industry, providing training to all of the major players. Both CPC and Abaris anticipate their alliance will be mutually beneficial. While Abaris gains access to CPC’s leading-edge equipment and the ability to offer new courses, CPC will have a global leader to provide training to its future employees. Joint initiatives are also likely although no specifics have been discussed at this early stage. 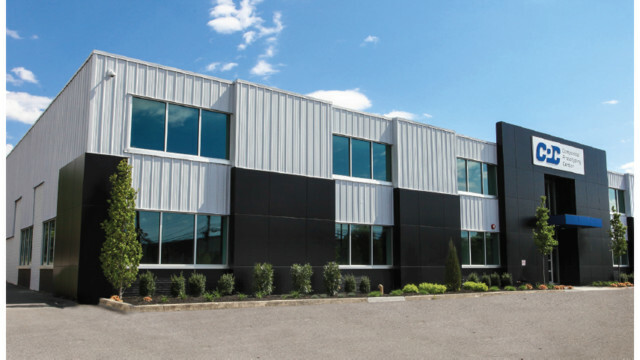 The Long Island region too is expected to benefit from the economic and workforce development advantages stemming from Abaris’ presence at CPC. Local manufacturers will gain easy access to more advanced materials training programs, which will enable them to build a more proficient, skilled workforce able to work with composite materials. This in turn will help position these manufacturers for greater subcontractor opportunities awarded by larger manufacturers. Abaris will be setting up its operations at CPC in June with its first course, the five-day Advanced Composite Structures: Fabrication & Damage Repair – Phase I, scheduled for August 20-24, 2018. The last several months have been especially dynamic for CPC which has enjoyed steady growth since its inception in 2014. In addition to providing its Composite Technician Certification Program to numerous Long Island companies, CPC is a Program Partner of Stony Brook University’s Manufacturing Technology and Resource Consortium (MTRC, Stony Brook, NY, www.stonybrook.edu), New York State’s only campus-based Manufacturing Extension Partnership (MEP) center, and is a partner with Unique Electrical Solutions (Stony Brook, NY, www.uesmfg.com), which recently generated a contract to modify 16 vans for UPS. More recently, CPC was named the recipient of three significant grants for Science, Technology, Engineering and Mathematics (STEM) education for high schools. The Composite Prototyping Center (CPC) has as its mission to enable all organizations to meet the needs of advanced manufacturing by providing access to essential training, workforce development, process technologies, prototype manufacturing and critical testing capabilities.